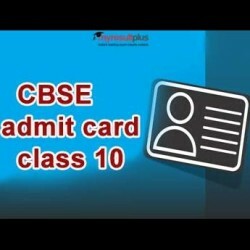 The admit cards of CBSE exam class 10 have been released. The admit cards will be available from the respective schools or institutions. Some of the reports say the CBSE has only released class 10 admit cards and class 12 admit cards are yet to release by CBSE. Feb 27- Subject codes- 031,032, 036, 076,036, 154, 254, 401, 403, 404, 405, 406, 407, 408, 409, 410, 411, 412, 413. Mar 5- 003, 004, 005,006,007, 008, 009, 010, 011, 012, 013, 014, 017, 020, 021, 023, 024, 025, 026, 089, 092, 093, 094, 095, 097, 098, 099, 131, 133, 134, 136, 303. 6. The question paper will be distributed at 10.15 A.M.
11. Private candidates should contact the Principal of the school of their theory examination centres for date and time of practical examination before theory examination is over. The practical examination should be completed before 5th April 2019 in respect of private/ Pantrachar candidates.